For anyone curious about the sort of pressure brides are under to look absolutely perfect on their wedding day, all I have to say is this: I became a Sephora VIB Rouge the year I planned my wedding. A “VIB Rouge” is a person who has spent $1,000—yes, a literal thousand American dollars—at Sephora in one year or less—on makeup and hair products—in order to unlock a rather underwhelming collection of “exclusive perks.” I’d say a good $600 of those dollars went to color correcting and contouring products, in a desperate effort to first erase my entire face and then paint on a realistic topography of a new one, followed closely by hair volumizers. Needless to say, I went a little cuckoo trying to look absolutely perfect on my big day, but you should know that the desire to do so can be pretty strong for all brides—even those who are usually pretty laid back such superficial matters. If you ask me, it’s ok to indulge yourself in this department, because your wedding is the one day of your life when 1) you’re throwing a party where everyone will come to stare at you and 2) you’ve hired a professional photographer to take glamour shots of you that you’ll look back on for the rest of your life. 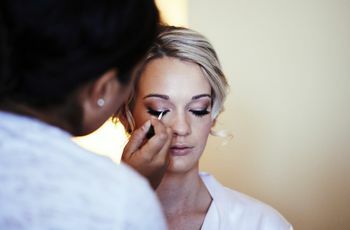 That being said, there are ways to elevate your look besides giving yourself a crash course in contouring—i.e., treating yourself to beautifying treatments—so you can take the stress and responsibility off yourself, and feel super-confident on your big day. These are a few simple ways to upgrade your bridal beauty look. 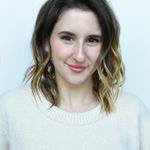 Extensions: Even if you’re not after extra length, adding extra hair can be a no-brainer for those ladies like me for whom thin, limp hair has always been a struggle. 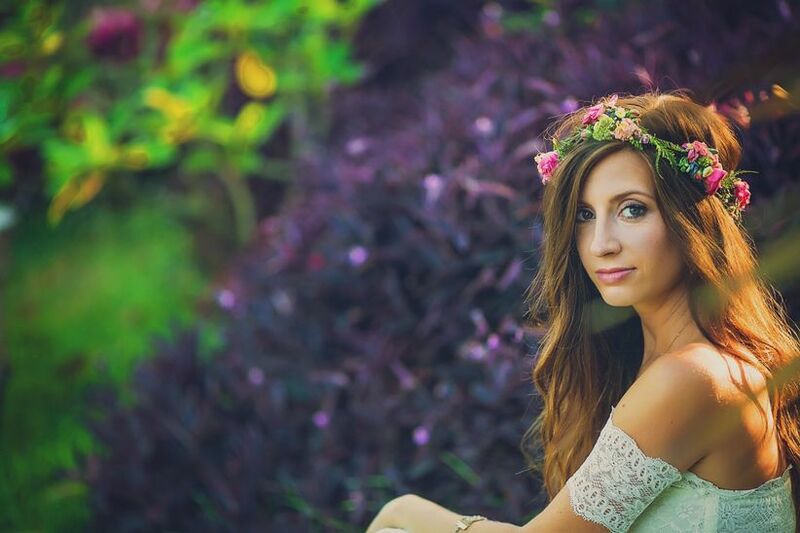 Clip-in hair extensions can amp up your wedding day updo (or down do!) totally damage - and commitment-free. Plus, they’re surprisingly easy to prep. Simply work with your usual hair stylist to pick out the base color, thickness and brand of extensions she thinks would work best for you (but always go Remy—meaning they’re made from virgin human hair and can be washed and styled with heat tools). Then, have her color and highlight them to blend seamlessly with your hair, clip them into place and trim them to your desired length, and you’re done! If she’s not the person doing your wedding hair, have her sketch out exactly where she clipped each piece so your wedding stylist has a placement map. Plan out your extension prep so they can be colored, cut and ready in time for your hair trial, and make sure to talk to your wedding stylist about any extension storage or maintenance tips she suggests to ensure they’re in tip-top shape for your wedding day. Oh, and, most importantly—make sure your wedding stylist knows how to work with extensions before you hire her! Spray Tanning: Even if you’re not after a deep, beachy bronze, a little color can add a natural-looking glow and mask skin imperfections. The best part about spray tanning over real tanning (besides the fact that it’s healthier)? No risk of tan lines! 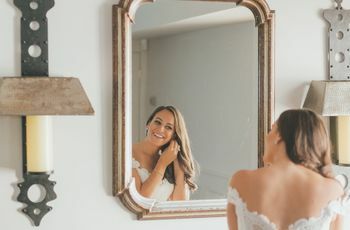 If you’re new to spray tanning, you’ll want to start going months before your wedding, to get used to the process and learn the ins and outs (it’s never a good idea to try something new right before your wedding!). Be sure to apply lotion to areas where the tanner will naturally build up and get too dark otherwise (like elbows and cuticles), and don’t shower or swim till at least 24 hours after your session. Book your wedding sessions starting a month out from your wedding date, then stop by the salon a couple more times in the following weeks to tweak your tan to exactly how you want it. Want an even more realistic faux glow? Consider booking an airbrush application. Eyelash Extensions: Falsies are de rigueur for any bride who’s gotten professional makeup done, but if you want the real(-ish) deal (and to nix any worries about the possibility of your lashes falling into your drink after a particularly tearful toast), consider semi-permanent extensions. As with spray tanning, this is not a process you want to try for the first time a week out from your wedding, so it would be wise to book your first session months prior, and seeing how you like it. Different types of eyelash extensions (synthetic, mink, silk) offer different looks, so do your research and figure out the best pick for you. Also, have your technician do a patch test of the glue on a safe area of skin like your wrist—you could have an allergic reaction, and you don’t want that happening near your eye (or near your wedding date—did I mention that already?). Application takes around two hours, and you shouldn’t wash or wet your eyes, or expose them to heat, for at least 24 hours after they’re applied. Plus, oil-based makeups and removers can weaken the bond of the glue that holds the lashes in place, so when you do get your wedding set applied, go easy on the makeup until your big day arrives. 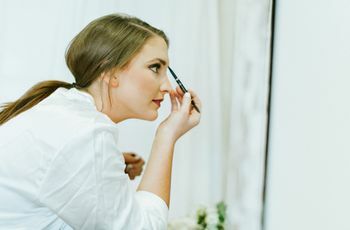 With proper care, your lashes will look fresh for about six to eight weeks—but you should have them applied a week or so before your wedding for maximum impact. Teeth Whitening: You’ll never smile more in one day than you will on your wedding day. Make sure your teeth are up for the challenge by booking some whitening sessions with your dentist, which are more customized, reliable and predictable than at-home whitening treatments. In-office whitening is also safer on gums and enamel, so it’s worth the higher price tag in the long run (sort of like how you didn’t chose the discount dress alterations place!). Since just one visit can whiten the teeth a whole 10 shades (and each visit only takes about an hour), you probably only need to schedule one whitening before your wedding (you don’t necessarily want to blind people with your unnaturally white teeth all day, do ya?). For a less dramatic transformation, you can prep with lower-impact at-home whitening strips in the months leading up to your wedding, then book your in-office whitening a month or so before your wedding day. The best part? The results of your professional whitening treatments can last years—so much longer than your eyelash extensions! When it comes to beautification missions to prep you for your walk down the aisle, these are just the tip of the iceberg! And while on one hand, it’s great to treat yourself to little luxuries that make you feel confident (especially when you’re gearing up for a party where you’ll be the star of the show! ), you shouldn’t forget that the person everyone really wants to see on your wedding day is you! (Especially your future husband—he really wants to see you.) So try not to get carried away with the #bridaltransformation. You’ll be amazed at what the simple combo of your dress, a lovely updo, and a whoooole lot of positive feels can do for your look.